Wayne Gretzky, who turns 56 today, was 14 in 1975. He was a star already on his skates, of course, leading scorer among bantams in his hometown of Brantford, Ontario, and ready for a new stage. In the fall of the year, he joined the Vaughan Nationals of the OHA Metro Junior B league — where he was soon suspended. Not for any on-ice indiscretion: minor-hockey rules decreed that he had to play for the team nearest his home. The Gretzkys went to court to challenge the Canadian Amateur Hockey Association on this, and they won the case, which got Gretzky back into action in time to win recognition as the league’s leading rookie. It was around that time that this photo of a languidly studious Gretzky was taken. Hard to say exactly when it was, but I’m proposing late ’75 or early ’76 based on nothing more than the fact that the non-academic book young Wayne has at hand here was published in the fall of 1975. My entirely unanchored conjecture is that the book that’s on view here was among the once-and-future-99’s Christmas presents that year. 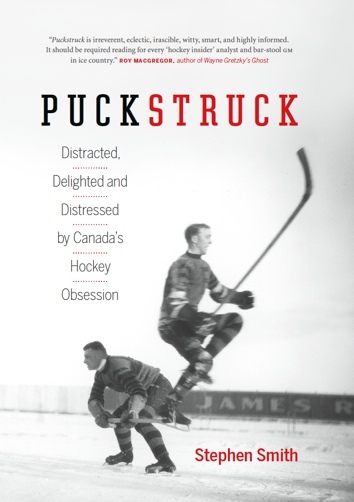 You can see why it would have been a book to hold Gretzky’s interest. Written with assists from Houston writers Mickey Heskowitz and Kathy Lewis, it’s not exactly a conventional hockey book, focussing in large part on the home life and business of being a superstar as much as the actually hockey-playing of it. Proudfoot was also taken by how “delightfully frank” Mrs. Howe was when it came to matters of “romance.” I believe he’s referring here to the chapter that’s focussed on “the hustling females” who plague hockey players while they travel the lonely roads of an NHL season. No woman ever made the error of making a pass at Gordie in my presence. But Gordie — and I don’t mean to set him apart — doesn’t have, and never did have, the lover-boy or rounder image. But I’m not naïve. During our marriage he has probably had a good look at someone else. For all I know, he may have had an affair or two. What I do know is how deeply Gordie cares about me. With this I feel secure. Should I sound more morally indignant or alarmed about the threat that exists out there? I’m sorry. Mary Poppins doesn’t live here any more. This is the real world. 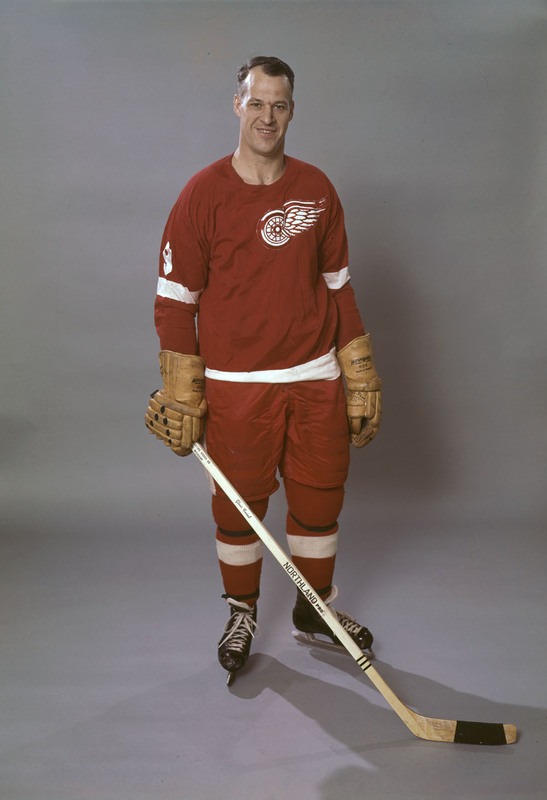 Gordie Howe is writing a book, unless he’s already written it — either way, Penguin Canada will be publishing it, in October, under the Viking imprint. The book will appear in the U.S. under another Penguin banner, G. P. Putnam’s Sons. His name has been synonymous with the sport since the mid 1940’s. 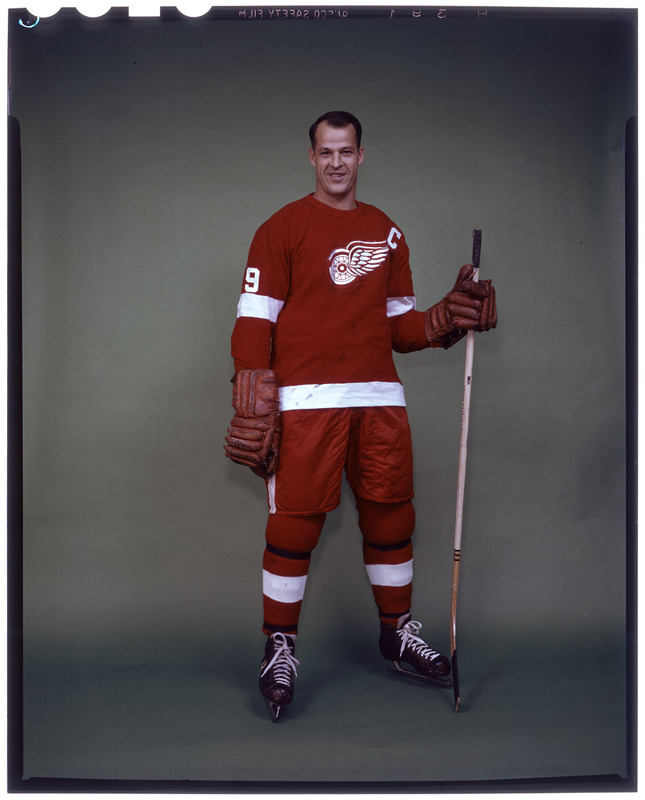 Literally, when fans think of hockey, they think of Gordie Howe®. To millions of fans around the globe, #9 is revered as “Mr. Hockey®”. 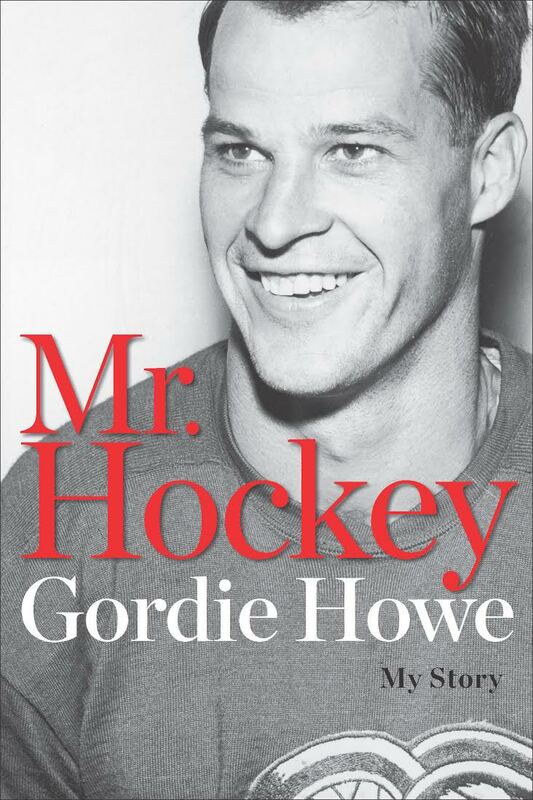 As a book, the unadorned Mr. Hockey will be (says Penguin) “the definitive account of the game’s most incredible legacy.” “Big, skilled, mean on the ice, and nearly indestructible” was Howe, but don’t worry, it’s not going to be as intimidating as all that: Penguin associate publisher Nick Garrison promises that the book will deliver an abundance of Howe class, generosity, and rock-solid personal integrity, too. For a moment there I wondered whether Howe was going to introduce his writing partner/ghost/editorial consultant but, no, wrong. Which is not unusual. Bobby Orr was Penguin’s last big autobiographer, in the fall, and no-one on the project was copping to who was co-writing ahead of publication, when Vern Stenlund finally revealed himself between hard covers.